As consultants one of the major hurdles that we would face with customers on a daily basis is the fact that how much ever features are available in any BI tool, almost upto 10 to 30% of the requirements(especially on big implementations) require some kind of custom work(sometimes this might even go upto 60% depending on the project). For example, last week i had a customer who basically wanted to know of a method for kick starting essbase allocation/calculations/data loads directly from BI EE. Now that they are using BI EE/Essbase connectivity, they wanted to provide the capability to some users to kick start the calculations directly from BI EE. Unfortunately, currently there is no out of the box way of doing this. But with some amount of work, the integration can be achieved. Today, lets look at how to go about achieving this integration. This would serve as a pre-cursor to another blog series wherein i would walk you through some complex integration techniques between BI EE and Essbase. The basic aim is to have a link in BI EE, clicking on which should run a calculation in Essbase and then refresh a report to show the report with the new calculated data. To do this, the first step is to create a simple JSP page which would be used as a placeholder for firing the Essbase calculation. This JSP page would in turn refer the JAPI of Essbase and fire the calculation. In my case, i have used JDeveloper 10.1.3.2 to create the JSP page. 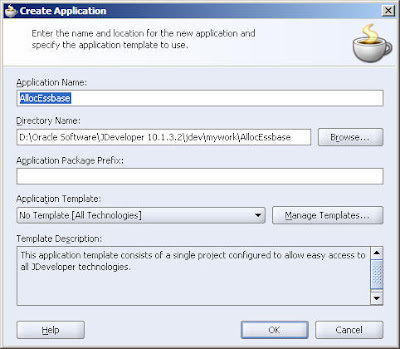 In order to create the JSP page, create a sample project and package called AllocEssbase. 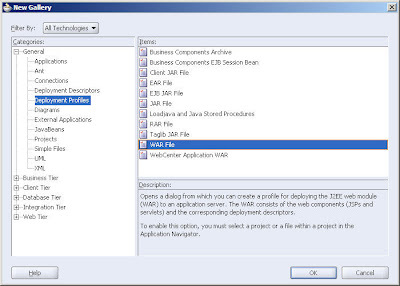 Create a custom JSP page within this application. 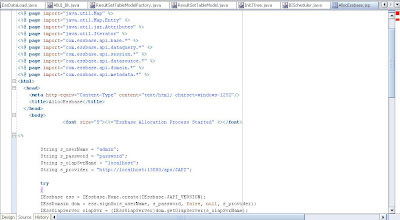 Include the Essbase jar files Ess_japi.jar and Ess_es_server.jar (these are the 2 main jar files that contribute to Essbase JAPI) in the project classpath. Now, create the JSP using the code below. The code basically executes a calculation script CalcAll. As you see this is a very basic JSP which runs a calculation script. You can use the same for doing data loads or just about anything in Essbase. 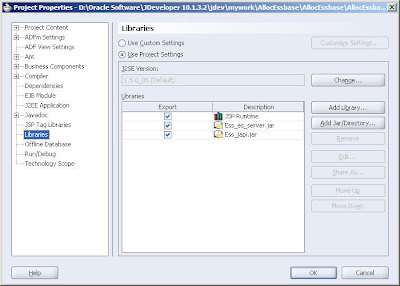 As a next step execute this JSP from JDeveloper itself to be sure that this JSP works. 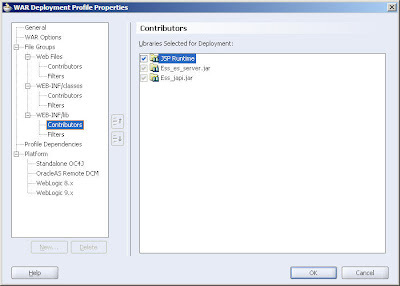 Deploy the war file in the OC4J of BI EE. Embed this URL in the BI EE dashboards. This should get you started. Now there are lots of different applications that one can put this into use. Like Planning load start, ODI integration, BI Scheduler integration etc. I would cover all of these use cases in detail in the coming blog entries. This entry was posted on April 26, 2009 at 9:05 pm	and is filed under All Posts, EPM, Hyperion Essbase, OBI EE Plus. You can follow any responses to this entry through the RSS 2.0 feed. You can leave a response, or trackback from your own site.